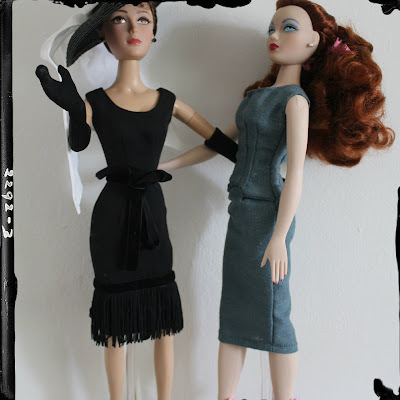 Several weeks ago, prttynpnk shared a post about her doll clothes creations. Not only were the outfits super cool, but they also reminded me that that's how I started sewing. One of the first things I ever sewed was for my Gene Marshall doll. My mom showed me what to do. 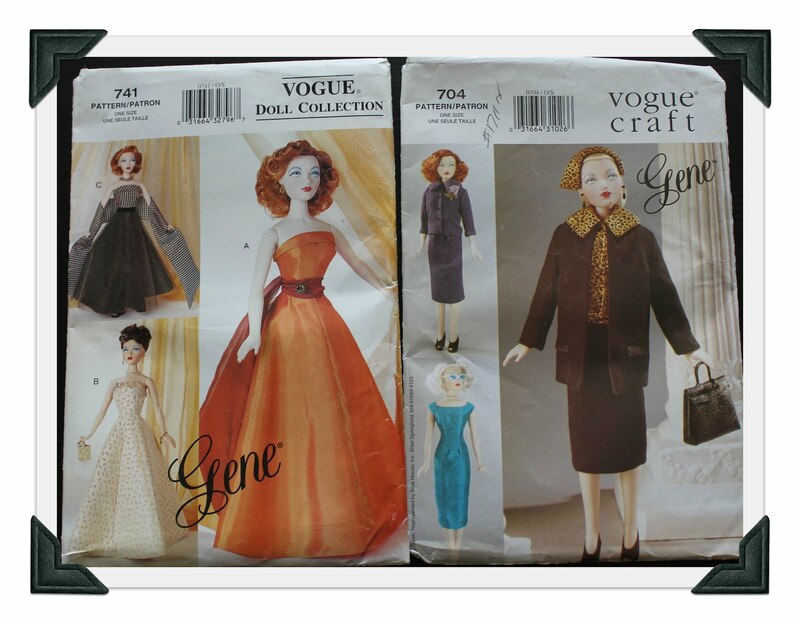 We used a Vogue pattern designed especially for Gene. 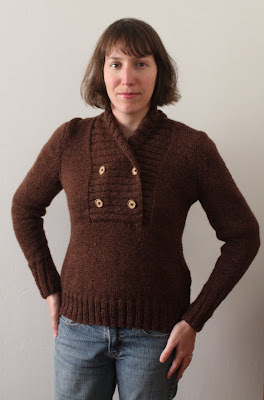 I bought two patterns that day for Gene; I used one and have sadly neglected the other for at least 10 years! How could I not make an outfit for her?! 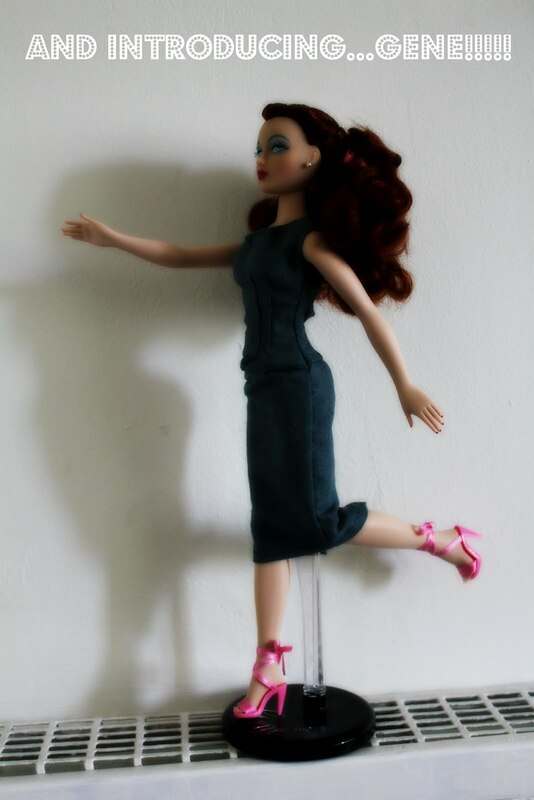 Truth be told, I have waaaaay more paper dolls than I do real dolls (I love Tom Tierney paper dolls especially). 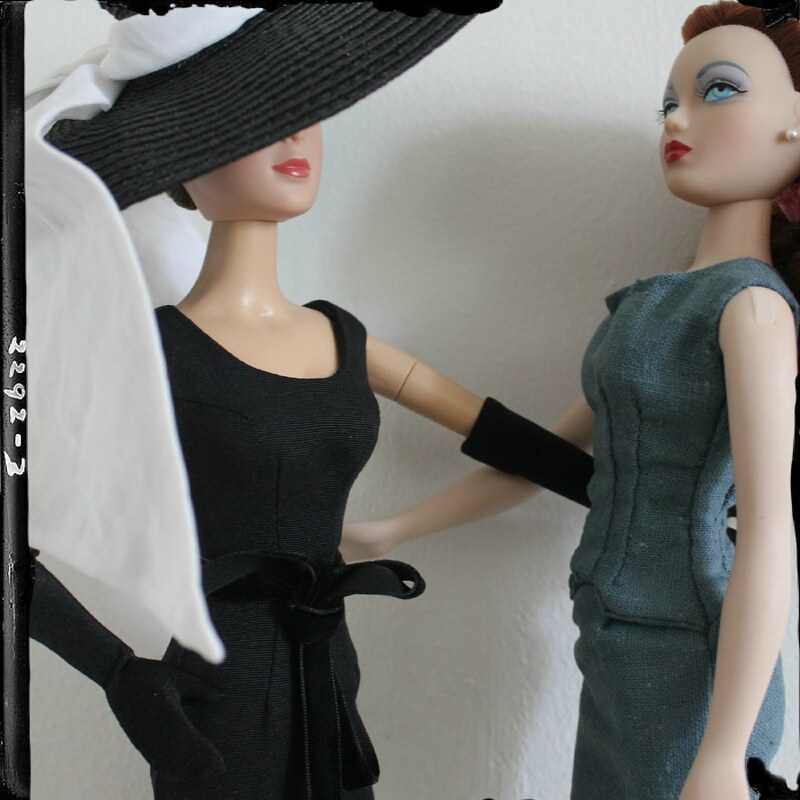 For one, paper dolls are cheaper and take up less space. For two, they are easier to hide! 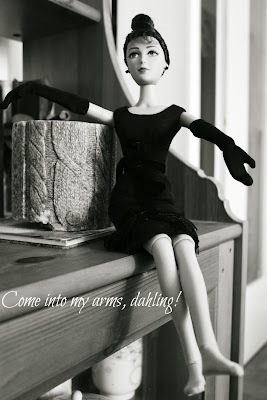 I am a little embarrassed to collect dolls at my age. Of course, that's why I'm writing about it and plastering it all over the internet! Excuse me, who rocks the hat?!? 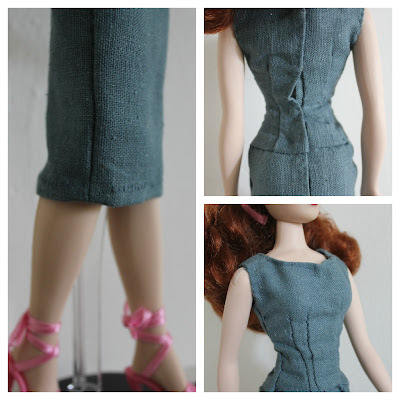 But, for those of you who are interested in sewing for dolls, you said check out Toferet's Empty Bobbin. Her most recent posts include a Barbie Cosmonaut! Ah doll's clothes - what fun. Call it a Collection and you can get away with dolls as a grown up!The Holly Golightly doll is great. 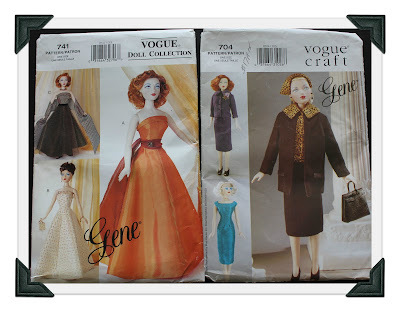 I hadn't heard of Gene Marshall dolls before. But I loved paper dolls when I was growing up. They used to do some great sets at the costume museum in Bath. I still like paper dolls! I hadn't heard of Tom Tierney either but am fascinated following your link. So cool! Your Gene is very pretty and those vogue patterns are so chic! Wow, I just don't know how you can sew things that tiny! I feel like I would be so clumsy handling teeny-tiny bits of fabric! This is really fun! So funny! 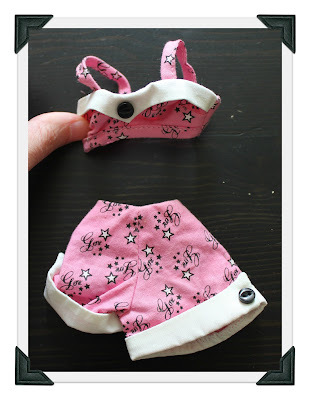 I think it's small enough to sew children's clothes, I can't imagine how to sew that tiny.